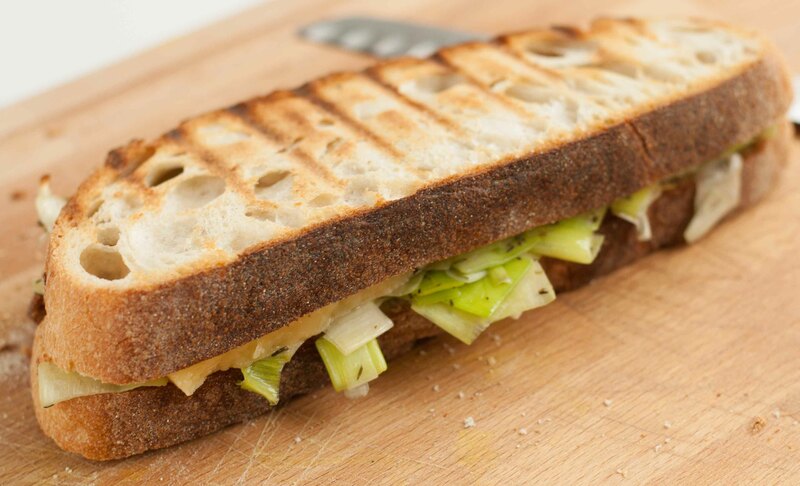 Tangy, melty cheese, sweet, fragrant leeks and crunchy slices of toasted sourdough, what could possibly go wrong? Thankfully, unlike my recent cakes, this sandwich went entirely according to plan and delivered exactly the comfort on a grey Sunday afternoon that I was hoping for. 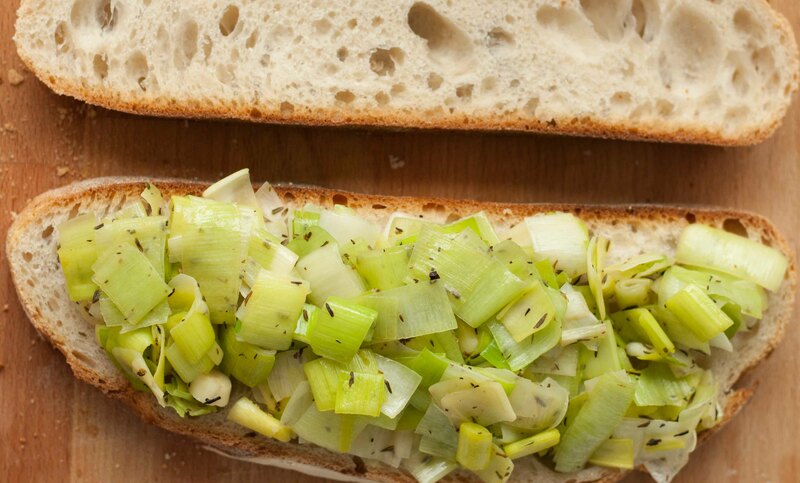 Once the leeks are softened and seasoned it’s just a quick assembly job and then into the George Forman grill (or panini press if you’re fancy) and an irresistible melty concoction is all yours. If you should feel the urge to serve this sandwich alongside a steaming bowl of Heinz cream of tomato soup, then I salute you and we shall forever be chums. Sauté the leek and thyme over a medium/low heat for a good 10 mins or so, stirring frequently, until they are soft and falling apart. Add seasoning to taste. Next it’s assembly time. 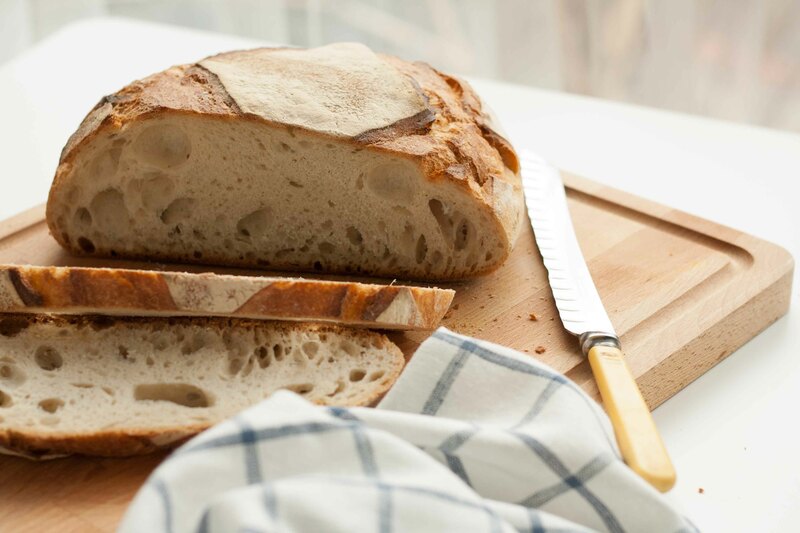 If you’re worried about your sandwich sticking to your grill (I didn’t have a problem in that area) then you can butter the outside of the bread. 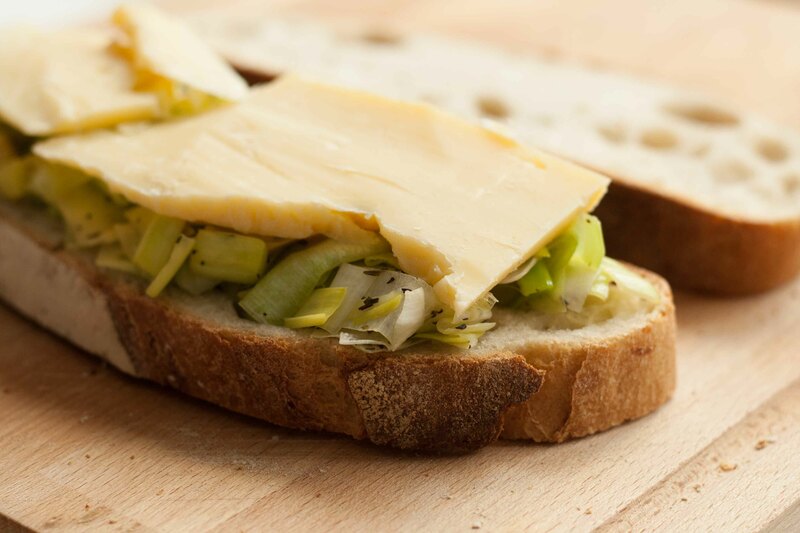 Spread one slice of bread with the cooked leek, pop the cheese on top, followed by the other slice of bread and stick the whole lot into your George Forman or equivalent until the outside is nice and brown and the cheese has melted. Check it every few minutes to make sure it doesn’t burn. Enjoy with a lovely bowl of soup!